In order to control compressed medium like water and air electrically, solenoid valves are required. The solenoid is made up of a coil of wire that when run through electricity, becomes magnetized. 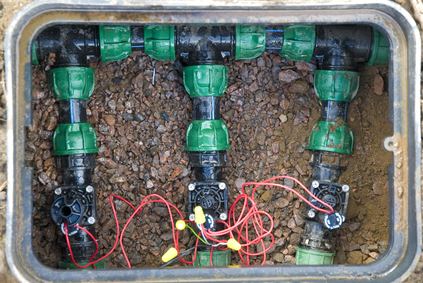 The valves usually have holes in the center and metal rods that get pushed and pulled when electricity is applied. In order for the valves to activate, they require the use of a solenoid. Once activated, the valves allow the user to control water flow, air flow, and the like. First of all, it is important to consider the solenoid coil voltage and current. Solenoid valves are available for DC and AC type of electricity and come in various voltages ranging from 6-220. Lower voltages are considered electrically safe, but sometimes, those with higher voltages are required for heavy duty operations. The next thing to consider is the valve type. Two-way valves use two ports and allow pressure to flow from a port to the next. Three-way valves have three ports. One port is common to the two. When activated, one port connects to the common port to extend the pneumatic cylinder and when deactivated, the other port connects to the common port to reset the cylinder. There are also solenoid valves that have multiple ports that exceed three. Other important factors to consider when choosing solenoid valves include the aperture size, the pressure rating, the medium to control, e.g. water or air, and the type of port connection. Make sure to read the specific wiring instructions to identify which is which. Keep in mind not to place a hot wire in series with a fuse. It is not a good idea to wire solenoid valves when you do not know the required power. Experimentation can either damage the solenoid or the electrical circuit. To activate the solenoid, it is necessary to apply electricity. The solenoid valve should come with the necessary wiring info. If the information is not provided, you can always check online by searching for the specific model and product number. Usually, a solenoid has three wires : neutral, hot and ground. Sometimes, it may only have two wires where one is neutral and the other hot. Make sure to read the specific wiring instructions to identify which is which. Keep in mind not to place a hot wire in series with a fuse. In order to figure out where the medium comes in and out, you can experiment. Usually, the configuration information is coupled with the purchase of the product. If the connection information is provided with the solenoid, then follow instructions properly. However, if the information cannot be found, search for the info online. When connecting the ports, check the arrow guides to know which direction the medium will flow. This will give you an idea on how to configure the valve correctly even without a configuration guide. It is important to get both wiring and configuration information before experimenting with a solenoid valve. If the info does not come with the purchase of the product, do a quick research online. Having the needed information will help save time and avoid mishaps.